The sleek steel and copper design, represents the melding of business and art and the rise of the artist fueled by their passion for Photoshop. The Hall of Fame Award is presented during the annual Photoshop World Conference & Expo, sponsored by Adobe and produced by KelbyOne. 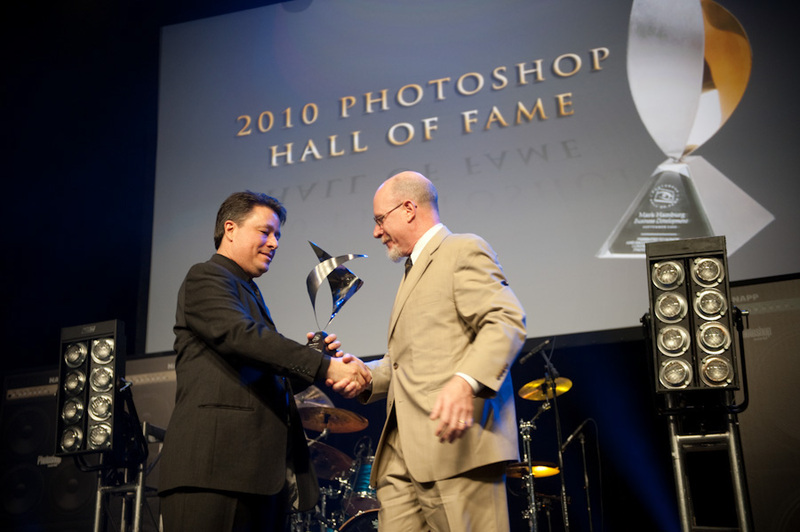 The Photoshop Hall of Fame inductees include a who's who of digital design, photography, art, and development, and includes the man who wrote Photoshop. The Photoshop Hall of Fame is presented by the KelbyOne Online Educational Community. Fuel for Creativity.